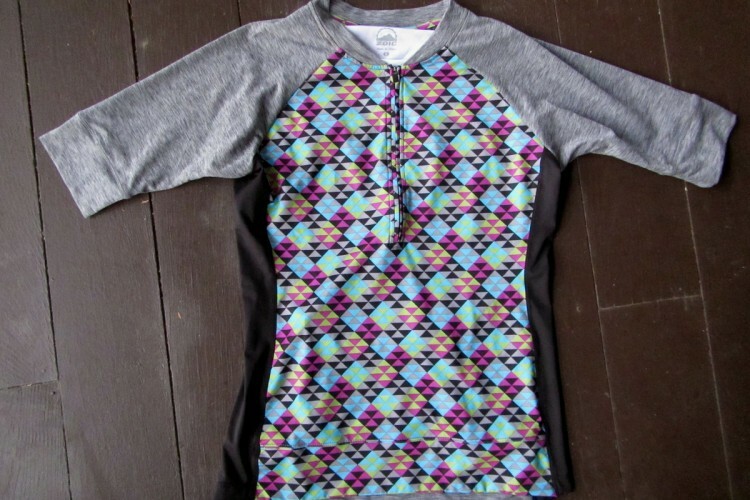 The women’s Pactimo Apex Jersey looks and feels snazzy. Photo: Brent Rader. 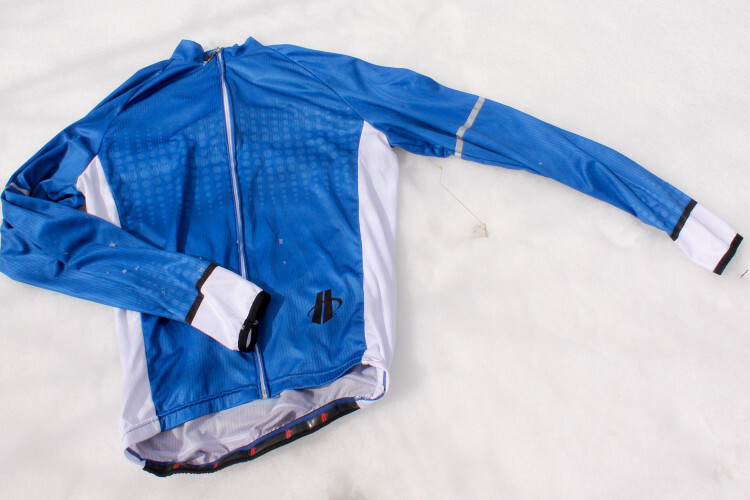 Pactimo Clothing has traditionally focused on custom cycling attire, such as team kits. They also offer a variety of cool jerseys made-to-order, including their state series and Jerseys for a Cause, which benefits a particular organization or cause each time someone buys a jersey. 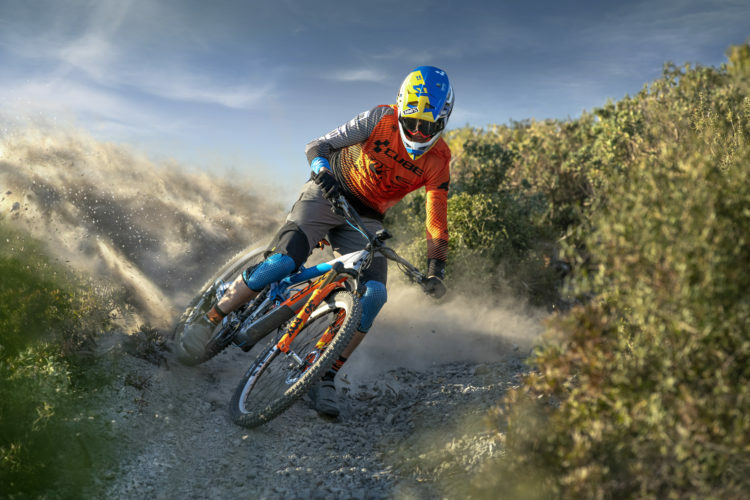 But Pactimo also offers a catalog of standard apparel, and now, for the first time, they are offering a mountain bike kit. 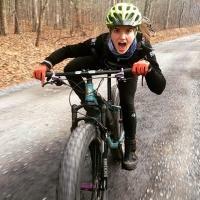 I tested out the new Women’s Apex kit recently, and was pretty impressed. 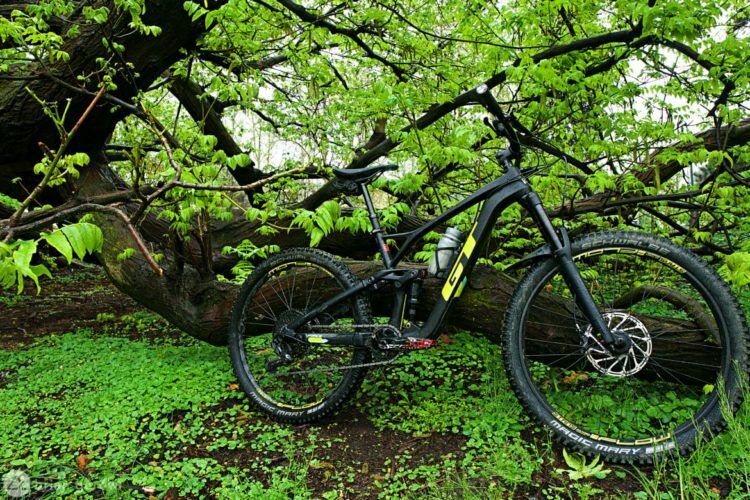 The Apex Jersey is super lightweight and breathable. 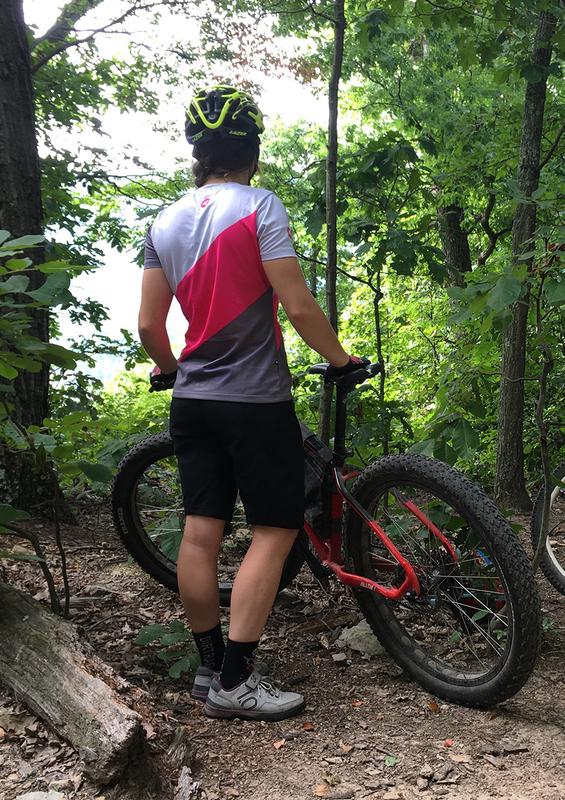 The back and sleeves are made of a mesh-like fabric that offers great air flow on hot days and wicks moisture really well, even while wearing a hydration pack. 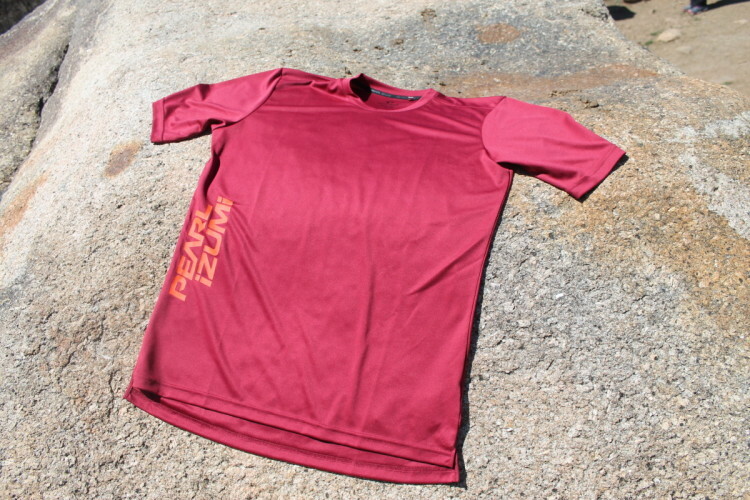 The front of the shirt is made of a soft, abrasion-resistant material that feels good against the skin. All around, it’s a really comfortable piece of clothing. Even on some really hot, humid days, this shirt did a nice job of keeping me as cool as possible. 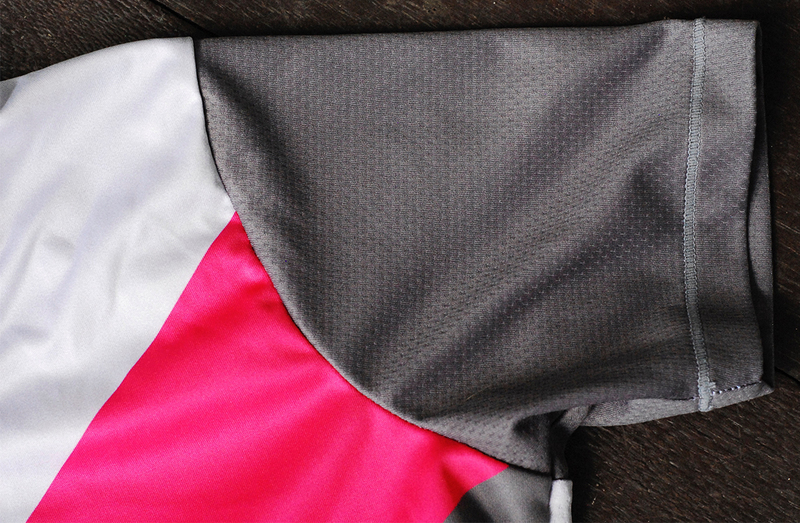 The sleeves and entire back of the Apex Jersey are made of this cool mesh material. There aren’t any pockets in the Apex Jersey, not even a little one, but I didn’t find that to be an issue at all. I actually found that not having the extra seams added to the comfort of the shirt, and I rarely use jersey pockets anyway, so I didn’t miss them. 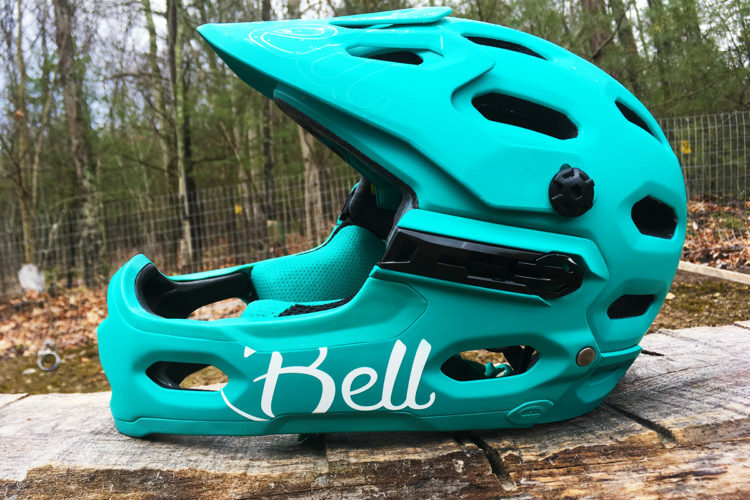 The simple design allows for a very comfortable pairing with a hydration pack as well. 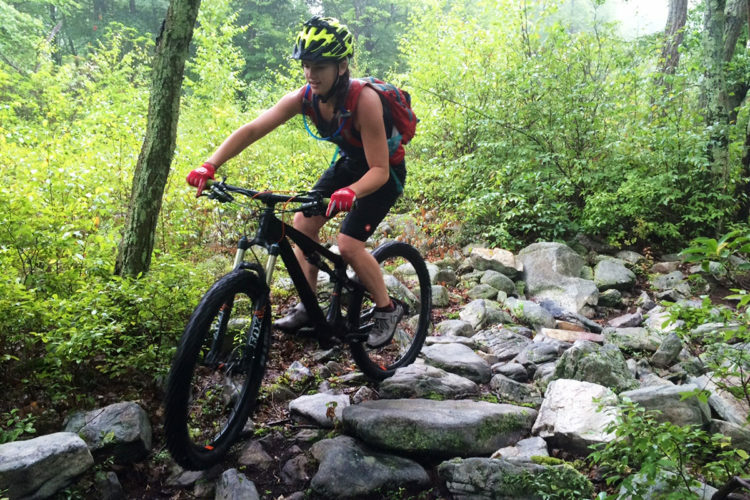 The women’s Apex Jersey features a long and lean contoured cut. It’s form-fitting enough to be flattering and not feel like a tent, while retaining plenty of room for movement and air flow. The Apex comes in both a short-sleeve and long-sleeve version, sizes XS-XXL. There are three different color options–gray/pink (pictured), gray/teal, and gray, pink, and orange. These are some pretty bold and colorful, yet tasteful, jerseys that feel as good as they look. Also, be sure to check out Colton’s video review of the men’s version of this kit! 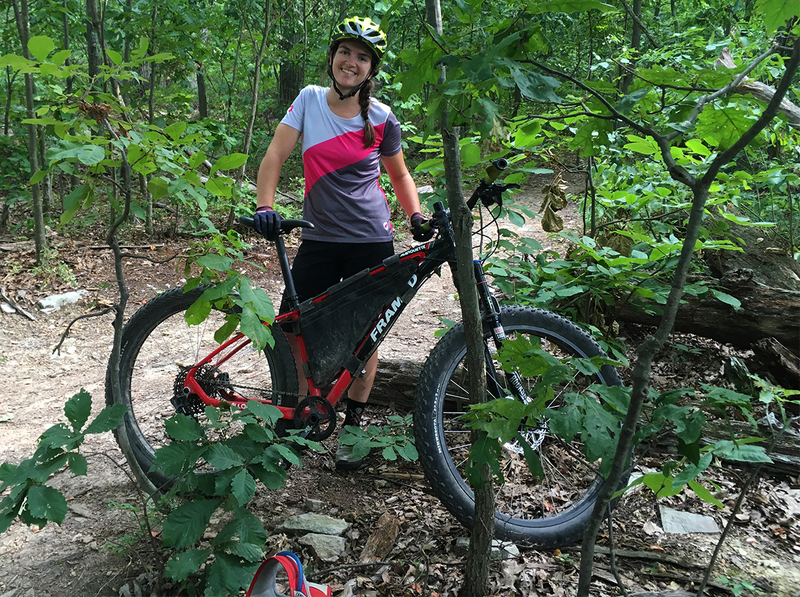 Thanks to Pactimo for providing me with the Apex Jersey to review.